The group pictured at Rudyard Lake. 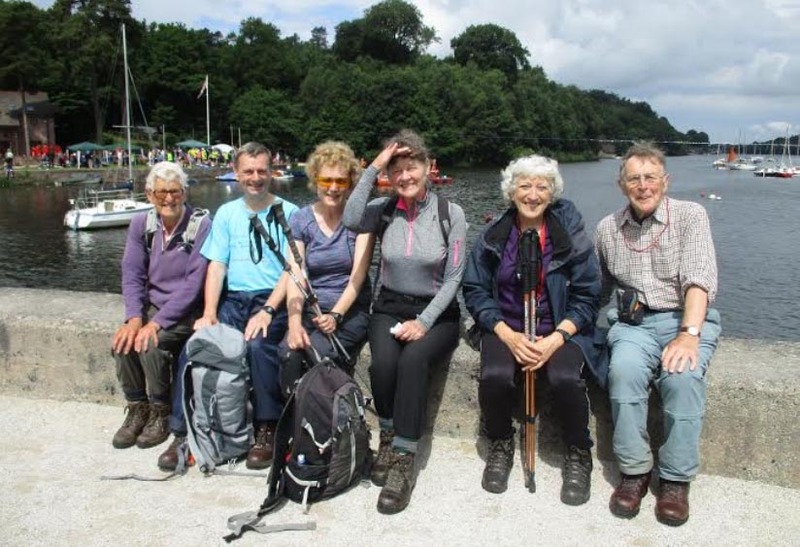 A touch of the orient was awaiting East Cheshire Ramblers when they set out from Rushton Spencer recently along the track bed of the old North Staffordshire Railway – known as the ‘Knotty’ – heading for Rudyard Lake. For after following the Staffordshire Way south down the wooded west side of the reservoir, they arrived at Rudyard Sailing Club where a festival was taking place with various events, including dragon boat racing and competitors wearing fancy dress. Coffee was taken here supplemented by home made cakes from one of many tented stalls raising money for charity. Moving on across the dam at the end of the lake, the walkers next came to Rudyard Station in time to see a miniature train pulling into the platform. Having climbed a steep flight of steps, the route was then across fields – several with very long grass and overgrown vegetation and no physical evidence of the public footpath that was clearly shown on the map. Reaching Poolend the ramblers continued across the main Macclesfield – Leek road after which more field paths took them to the half way point of the walk at Fould Farm where they began a long, steady climb up the bridleway to Gun plantation and across the Meerbrook road to reach Gun Hill. Lunch was taken admiring the many great views all around which included Bosley Cloud, Mow Cop, Shutlingsloe, the Roaches and the communications tower on Sutton Common. Until now the weather had alternated between sunshine and cloudy intervals but great banks of threatening rain clouds steadily gathered. The trig point at just under 1,200 ft was passed before the group descended to Gun End and on past Hawksley Farm and Tofthall to reach the attractive hamlet of Heaton where waterproofs had to be donned as they made their way back to the start.